In this blog post, we are going to look at ways you can effectively use technology – specifically smartphones to inject interactivity into your sessions. What is Padlet, what are you talking about? Padlet is an online browser-based tool that enables teachers to create interactive boards online, whether these are documents or just web spaces where students can all directly engage and share their content. The spaces can be private spaces, just for you and your students and some of the benefits include being able to embed spaces straight into LearningSpace and also the ability to share Padlets by using the Marjon QR code reader. 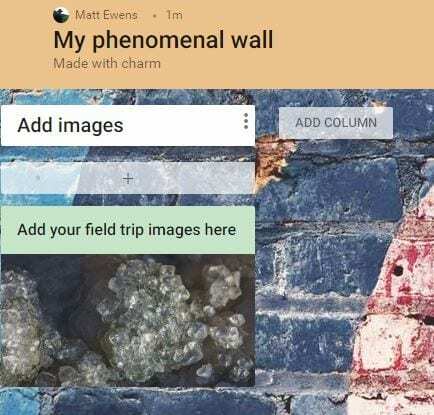 If you want students to collaborate in a live session, for example share images taken on their smartphones related to a field trip exercise – they can do this using your Padlet board. All they’d need to do is zap the Padlet QR code, using the Marjon QR code reader and then find the media they want to share and this will automatically appear within the Padlet board on-screen. This could be a great way of interacting with students and all that would be required is the setup of the Padlet board and access via a browser. 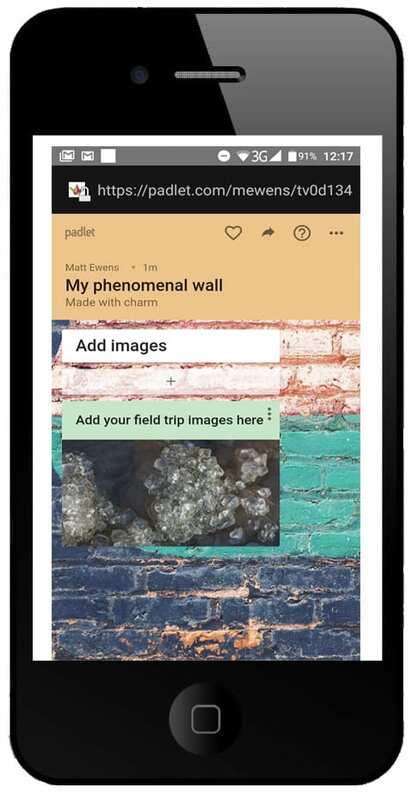 Students don’t even need the Padlet app on their smartphone to be able to engage with it. Next select the privacy options, for example add a password to protect the wall and then start the Padlet. To add a section, just double click on the board and enter a title and in the below example we’ve added an image to start things off. When you’ve setup the board how you want it to be, you can then share it with you students. To do this go to ‘Share’ at the top right-hand side of the screen and select the ‘Share/Export/Embed’ tab. You’ll notice a QR code has appeared. Ask the students to open the QR code reader in the Marjon app and then zap the QR code on screen. tip: if you click on ‘PRINT CODE’ this will display the QR nice and big on-screen. When students scan the code they’ll be able to add their media to the Padlet and this will automatically appear on screen during the session. 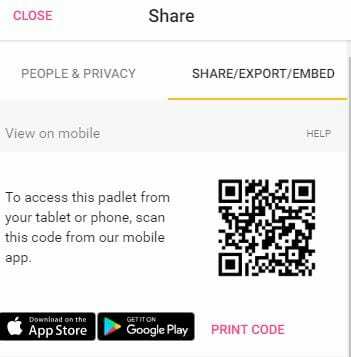 The beauty of this tool is that the students do not need a login or account to access and it works seamlessly by using the Marjon mobile QR code reader. Turn Editing on and then setup a new label. Paste the copied embed code into the box and select ‘update’ – then Save and return to course and turn editing off. The only potential drawback of using a free account is that you are limited to 3 boards or Padlets, so if you need to keep them you can only have 3. You can get around this by exporting a Padlet as an image, PDF or CSV file – or simply wipe the content when it’s no longer used and rename the sections. If you’d like any help setting up your Padlet space or are interested in a demonstration, please contact the MeLT team. This entry was posted in DIT hint of the week and tagged interactivity, Padlet. Bookmark the permalink.